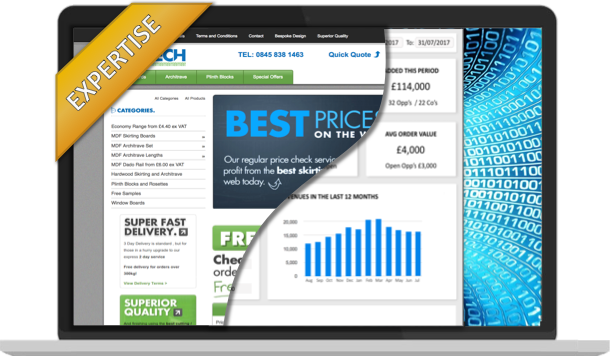 Thousands of businesses across the world have been choosing us to help them succeed online by using our innovative software and benefiting from our depth of technical skills, specialist marketing knowledge and our ability to deliver substantial results. Our driving principle has been to help our clients succeed online. We do this by providing great software products, great support and great marketing services. Established in 2008, we have highly skilled people in both software development and digital marketing, all based in the UK. We believe in strong, ongoing support services which are provided via our dedicated helpdesk in the first instance, then backed up by our development, technical and marketing teams plus access to our online knowledge centre. Our approach is to keep up-to-date with changes in technology and online marketing plus to bring useful new apps onto the market to solve business issues or create business advantage. We continuously innovate our range of software apps and update these automatically on an ongoing basis, so you are always up to date. This includes software maintenance releases, security updates and software enhancements. Similarly, we adapt our marketing practices to keep in-step with the latest algorithm and search results changes, so that you continue to generate revenues and enquiries and keep within your ROI expectations. We architected and deployed a dedicated server infrastructure on which to run our sites, employing replication across 2 locations with failover and backup systems, plus security threat prevention and monitoring. Our servers are hosted in purpose built data centres with additional hardware and technical support teams monitoring everything 24/7 and responding to any issues that arise. We tune our applications at a software level to optimise their performance on the servers and to load your pages on the web quickly. We believe in providing personal service to our clients and looking after them in a friendly, professional way. This allows us to build long term relationships with our base and to understand their businesses thoroughly so we can make the best recommendations to take their business forward. Our marketing clients have dedicated account managers to look after their service, who are readily available by phone or email.